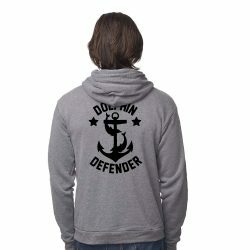 Be a true Dolphin Defender in this warm fleece hoodie made of 50% organic cotton, 50% recycled polyester and printed with soy based ink. Please note this item is on a pre-sale basis and will ship the week of December 10. Thanks, but NO Tanks! Now on a warm fleece hoodie. Orca where they should be, swimming free. 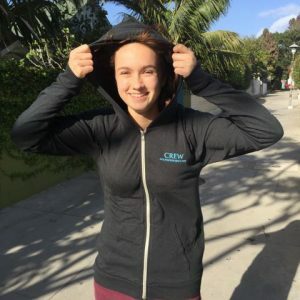 Our popular Crew design on a super lightweight hoodie. Due to overwhelming sales, size Large is out of stock. But we’ve already ordered more and they are on their way. So go ahead and order today and your order will ship as soon as they arrive. 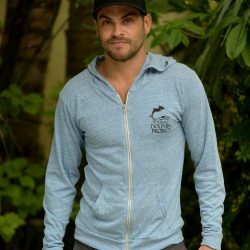 This sporty zip hoodie features vintage-style stripe rib bands on the sleeve cuffs and bottom hem, plus contrast hood lining with a natural color drawstring cord and a kangaroo front pocket. 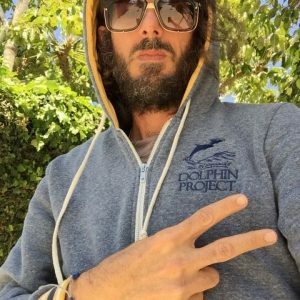 A Dolphin Project crew favorite. Please note that quantities are limited as the manufacturer has discontinued this item for the season and some sizes are no longer available. 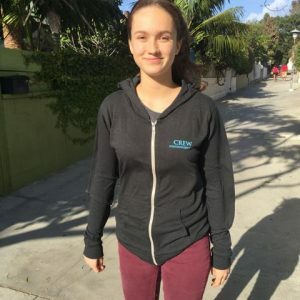 Exchanges may not be possible.